3 Après-Halloween Folklore Podcasts – Jenny and Jonathan Got Married! Today I read on Facebook that “marriage is just sharing the same germs” or something to that effect. Anyway, I’ve been laid up with a cold since Thursday night. I spent these days sleeping, screwing around on the internet, and listening to podcasts. Now that Halloween is over, it’s harder for me to find “new” podcasts about lore and history. Podcasts with decent production quality and decent storylines. One of the founders of Gimlet Media came from This American Life and Planet Money. Gimlet makes podcasts – that’s all that they do. My sisters and I spend hours listening to and then discussing Gimlet podcasts. Gimlet likes to introduce podcasts that I end up loving, and then after only a few episodes they take the axe to these podcasts. Gimlet calls these podcasts “unsustainable.” Whatever. Here’s Exhibit A: Twice Removed, hosted by A.J. Jacobs, which WAS a family history podcast. Gimlet cancelled it after only six episodes! Yep, this is another Gimlet podcast. Gimlet released episode #7 last week, so maybe it’s safe from the chopping block? We’ll see. Uncivil is about the Civil War. Short detour: I read Gone With the Wind (GWTW) by Margaret Mitchell when I was thirteen. I LOVED it. I HIGHLIGHTED my favorite passages. My grandma taped the movie off of AMC for me (on VHS). I got mad about the sections of this thousand-page book that the movie skipped. I argued with my high school history teacher when our textbook differed from the version of events that I read in GWTW. Years passed, and I grew up. One day I figured out that GWTW is not actually a source document of scientific truth. Surprise, it’s a racist and biased work of fiction! Jonathan went to Atlanta for a week for a work conference, and I tagged along. Our hotel was on the same block as the Federal Reserve Building AND also the Margaret Mitchell House. The Margaret Mitchell House was the apartment building where Mitchell wrote GWTW. The whole building was later turned into a museum (and gift shop) about both the book and the movie of GWTW. Shortly before or after it opened to the public, somebody burned most of it down. (Which is ironic, since Sherman’s Burning of Atlanta is one of the most famous scenes.) The museum was re-built. I mention all of this because one of the episodes of Uncivil specifically calls out GWTW as one of the reasons that the myth of the “Lost Cause” still persists. Each of the Uncivil episodes taught me something that I didn’t know about the Civil War. TBH, the Civil War makes me feel uncomfortable in a way that most other wars don’t. I saw Confederate flags on houses in Somerset and Bedford counties while I was growing up, years before (Bill) Clinton was elected president. Private property owners in my county also held a klan rally when I was a kid. I tried to reconcile this with what I “knew” about the Civil War. A few years ago, I went to Fredericksburg, Virginia, with some of my sisters. We visited George Washington’s sister’s estate, which included a giant rock where George Washington’s mother went to pray for the United States during the American Revolution. (Allegedly. I read somewhere else that George Washington’s mother was disappointed because George Washington wasn’t a BRITISH general. No, I did NOT read this in Gone With the Wind.) 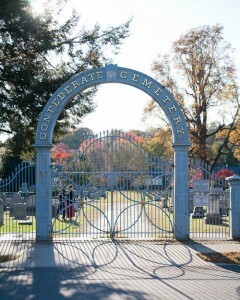 We walked ONE BLOCK and then stood at the gates of the cemetery for Confederate war dead. So, I like the concept of Uncivil. See, this isn’t just blog post about Gimlet podcasts. I binge-listened to the entire Season #1 last night when my illness kept me awake. This is a podcast about the skeletons in people’s family closets. Some of the episodes include a mystery for host Sam Dingman to solve. For instance, in one episode, Dingman searches for the missing body of his friend’s long-dead grandfather. (The friend’s aunt stole the body.) So, this one episode is literally about a skeleton.